Hi folks, Doc here. My buddy Bob Lian sent in the photos below of his No. C Airplane set. 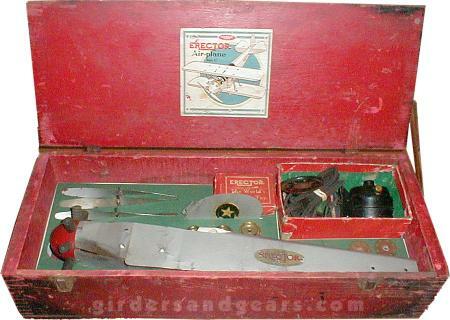 This is one of the sets that most Erector collectors wish they had. It first appeared in 1928 and was produced through 1932. This set is one of a series of landmark sets from the Classic Period of Erector production that were designed to build a special model. I have already profiled five of the other special models and their sets here on Girders & Gears, including the Steam Shovel, White Truck, Zeppelin, Hudson Locomotive, and Stiff Leg Derrick. The parts for each of these five models were also included in some of the larger numbered sets in the Erector line. However, the special parts created for the airplane model never appeared in any Erector set other than the No. C set. Some of the airplane parts changed every year, either in form, color, or markings, making each year's version of the airplane model unique. 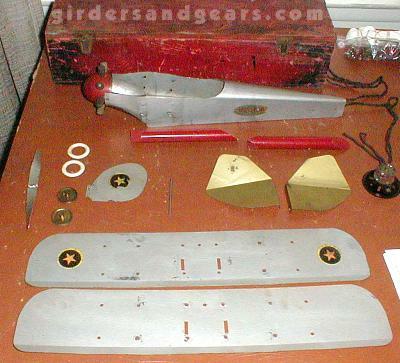 The various special airplane parts are shown in the photo above. 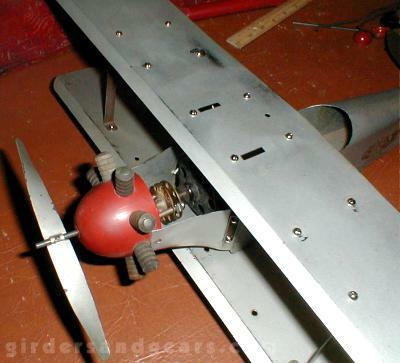 They include the fuselage, upper and lower wings, rudder, right and left stabilizers, propeller, pontoons, and a swivel mount that could be used to suspend the model from the ceiling. 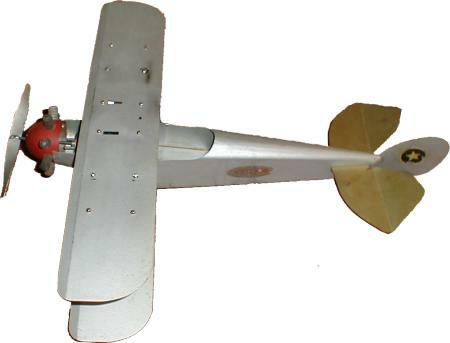 The set included a P56-G 110v motor that could be mounted under the upper wing to drive the propellor (see photo below). 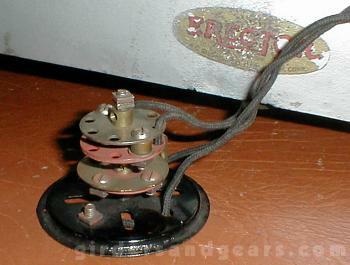 When under power and hanging from the swivel mount, the airplane would fly in a circle.